Highlighting the significance of lawyers' role in ensuring justice is delivered, Justice (retd) SS Parkar of the Bombay High Court on Thursday said that the administration of justice is based on two wheels—the judges and advocates. Investigative agencies too have a vital role in bringing the real culprits behind the bars, he added. He was speaking at the 2nd Shahid Azmi Memorial Lecture, organized by the Innocence Network, an affiliation of organizations dedicated to providing pro bono legal services to the accused. Justice Parkar said: "By organizing this lecture, the emotion of fighting for justice is kept alive. Adv. Azmi wanted to free and fight for those falsely implicated. This day every year since nine years reminds us that, 'Justice Delayed is Justice Denied." To put Justice Parkar's comment in context, 33-year-old advocate Shahid Azmi was shot dead at his office on February 11, 2010. Following this, four men were arrested for the murder, Devendera Jagptap, Pintu Dagale, Vinod Vichare and Hasmukh Solanki. However, charges were framed against these accused eight years later in August 2018. The trial itself began in December 2018 and by now only a single witness has deposed. The Jamiat Ulema-e-Hind provides legal aid to many accused framed in terror cases. Azmi is said to have been responsible for 17 acquittals in terror cases in a short span of time. In many cases, acquittals took place after his death. Advocate Shahid Nadeem of Jamiat Ulema also spoke at the event. He pointed out how Acts such as the Terrorist And Disruptive Activities (Prevention) Act (TADA), Prevention of Terrorism Act (POTA) and Unlawful Activities (Prevention) Act (UAPA) are misused and the innocent are falsely implicated. Highlighting Shahid Azmi's contribution as a lawyer fighting pro bono cases, Justice Parkar spoke on the need for lawyers to play a part in delivery of justice and the impediments therein. "The judiciary will not be able to deliver unless lawyers ensure justice takes place. The administration of justice is based on two wheels, lawyers and judges, however, the investigating agencies also play a very important role. There have been cases where investigating agencies have botches up many cases, it has first caught someone and then caught someone else. Although, when stringent laws are applied, the accused have to record their confessional statement before the magistrate but even then there have been cases where the investigating agencies have coerced them," he said. 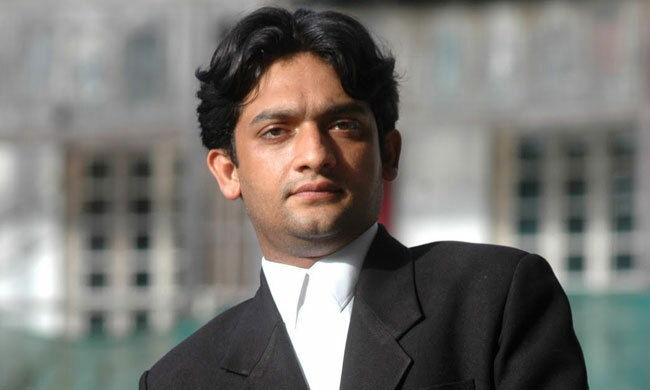 Shahid Azmi's younger brother Adil Azmi said, "It all started when Shahid was at the Patiala House court and he decided that there needs to be a group taking care of Muslims too and convinced Jamiat to take up cases for Muslims." "Shahid had made a database of those arrested under the Maharashtra Control of Organized Crime Act (MCOCA) and other draconian laws and would reach out to them." As for the case regarding Shahid Azmi's murder, two of the accused moved the Supreme Court after their bail applications were rejected by the Bombay High Court, while the other two—Pintu Dagale and Vinod Vichare—are on bail. The trial will resume on February 25.